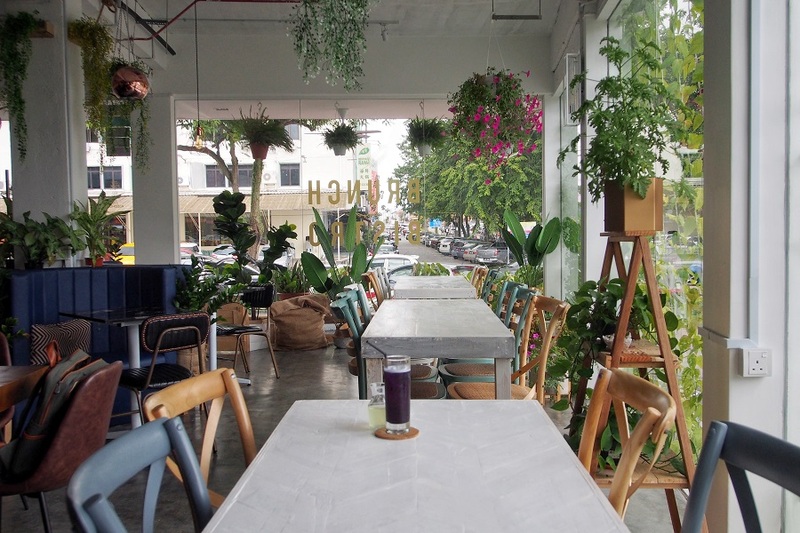 [Johor Bahru] Café hopping in JB has never been so convenient thanks to various transport hailing apps. If you are bored of the usual suspects like Replacement Lodge, Bev C and Flowers in the Window, it is time for you to venture further up north. 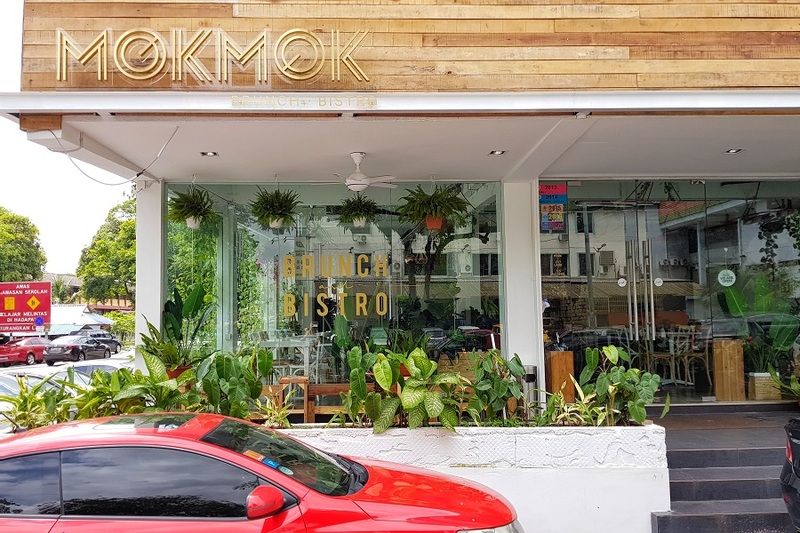 Mok Mok Brunch & Bistro is situated in Taman Pelangi neighbourhood, and only requires about a 15 minutes’ car ride away from checkpoint. 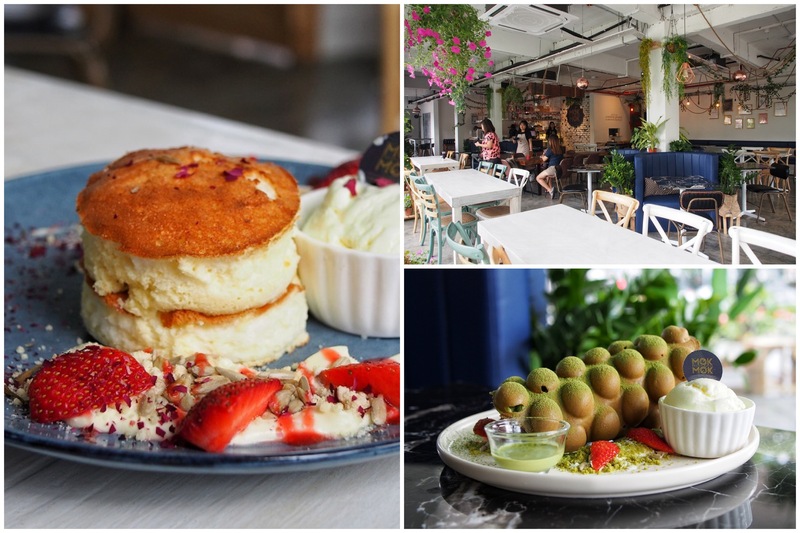 Furnished with greens from exterior to interior, the key message which they are trying to bring across was distinctive – to bring out natural flavours in food using freshest local produce sourced to prepare farm-to-table meals. A very good initiative to support their local farmers and suppliers. 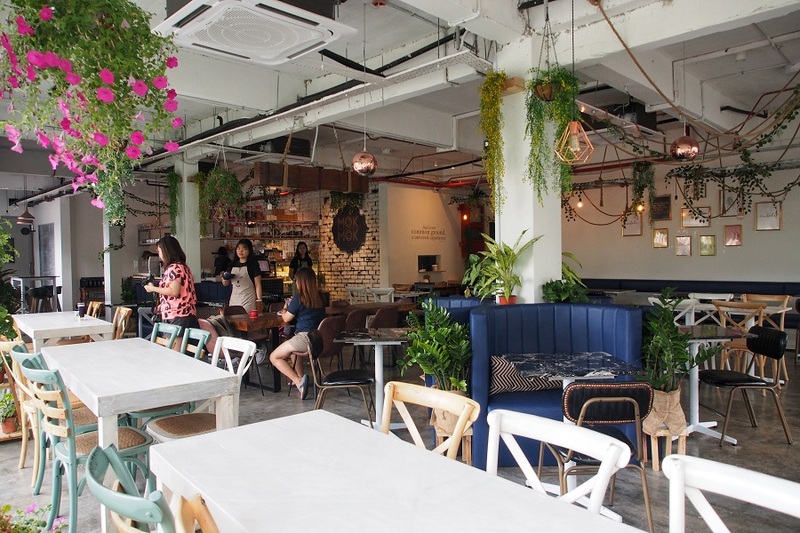 Their menu comprises of rice bowls, burgers and desserts. 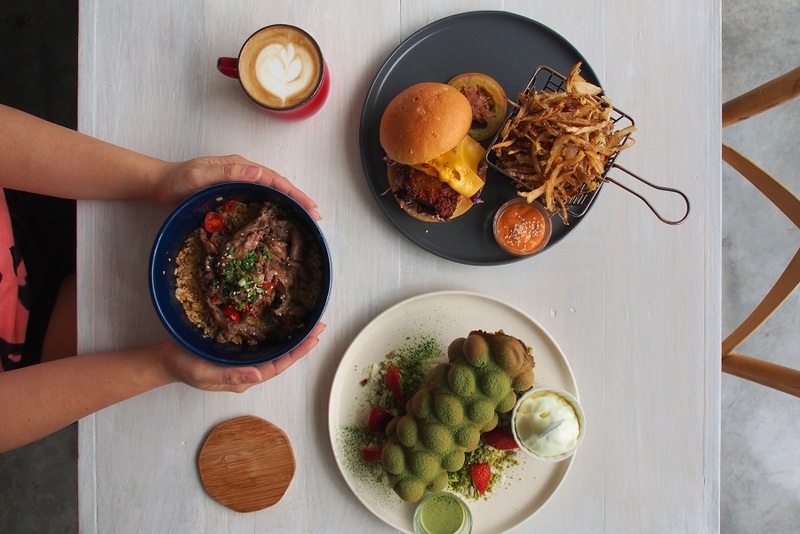 From their signature rice bowls, one can choose from a variety of meat such as Beef Tenderloin (RM39, SGD13), Grilled Chicken (RM22, SGD$7.30) and Unagi (RM38, SGD12.60). 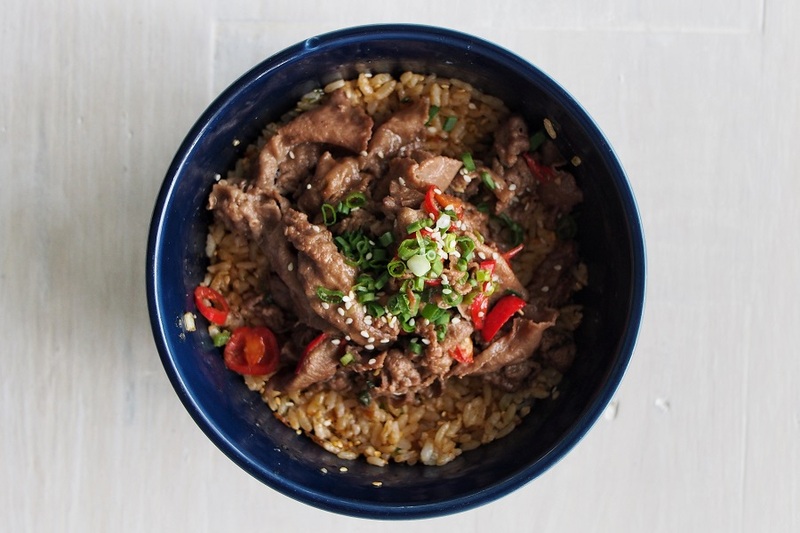 I went for the indicated “must try” Gyutan bowl (RM28, SGD9.30) which came with thin cuts of well-marinated meat topped with spring onions and chili. Served over Mok Mok’s signature pearl rice seasoned with furikake, shoyu and yuzu. The meat was tender and flavorful from the shoyu dressing and I enjoyed every mouthful. 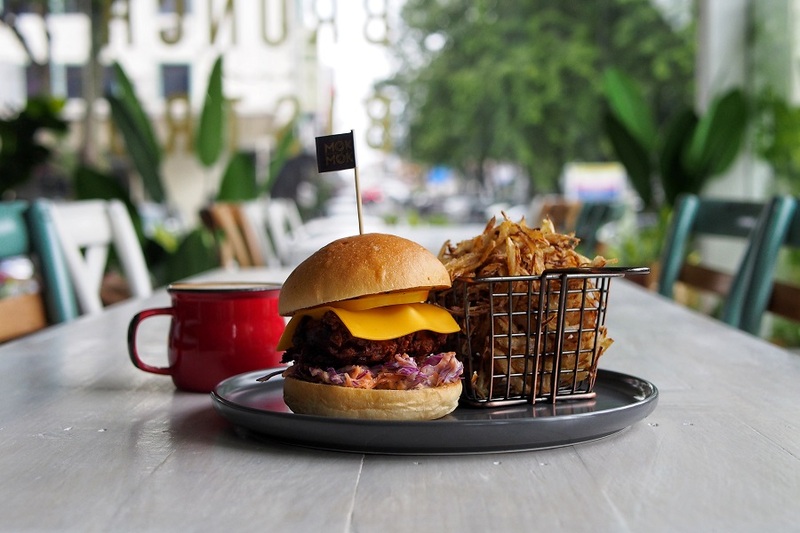 Compared to rice bowls, burger options are more limited. 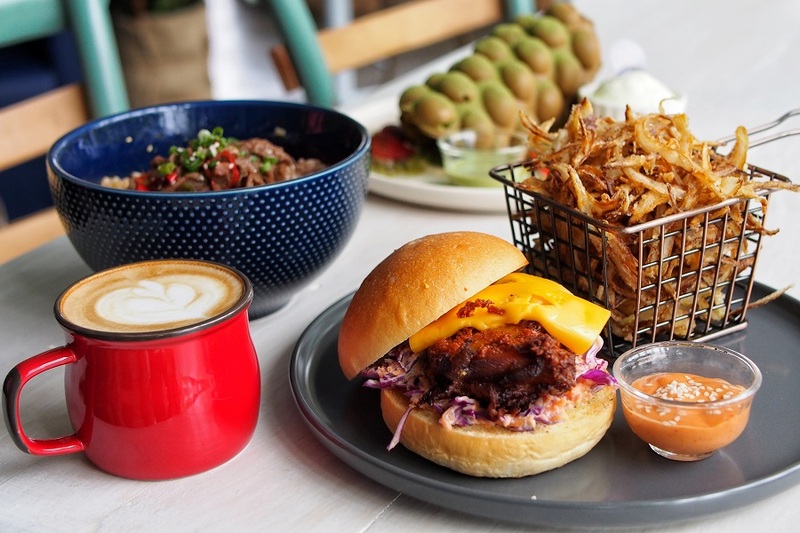 I opted for the Fried Chicken Burger (RM17, SGD5.60) which was battered with spicy buttermilk, sandwiched between brioche bun with cheddar cheese, shredded cabbage and raita sauce. I took a liking to their raita sauce which was made from yougurt, cucumber and cilantro. It provided a refreshing take to balance out the heavily spiced chicken patty. 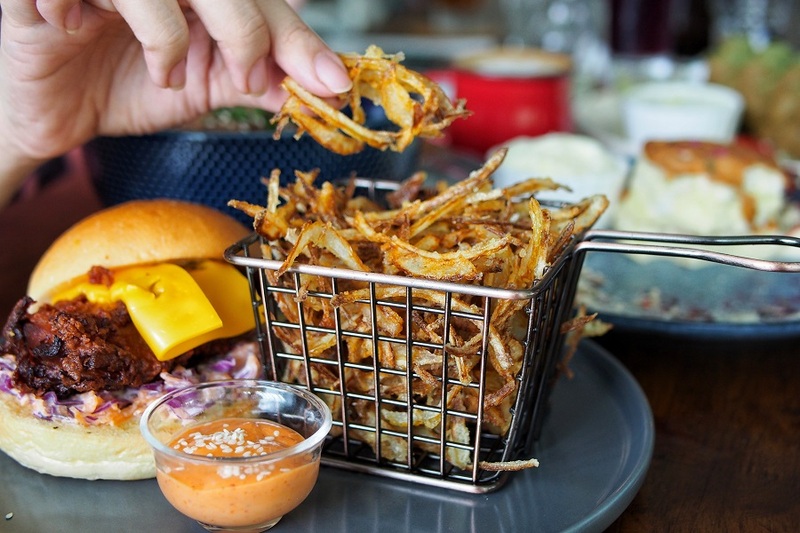 Bringing some attention to their Onion Chips (RM8, SGD2,60) which could also be served as a side dish to the burger. It was thinly shredded and deep-fried till airy crisp. 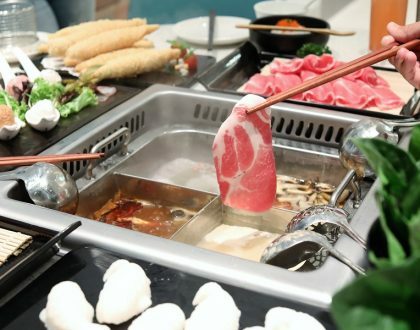 It was so addictive that I could have ordered a second helping, but my friend was concerned about having too much onions which would lead to increase in bowel activity. Opps. Desserts wise, I dived straight for the Emerald Oasis (RM20, SGD6.60). 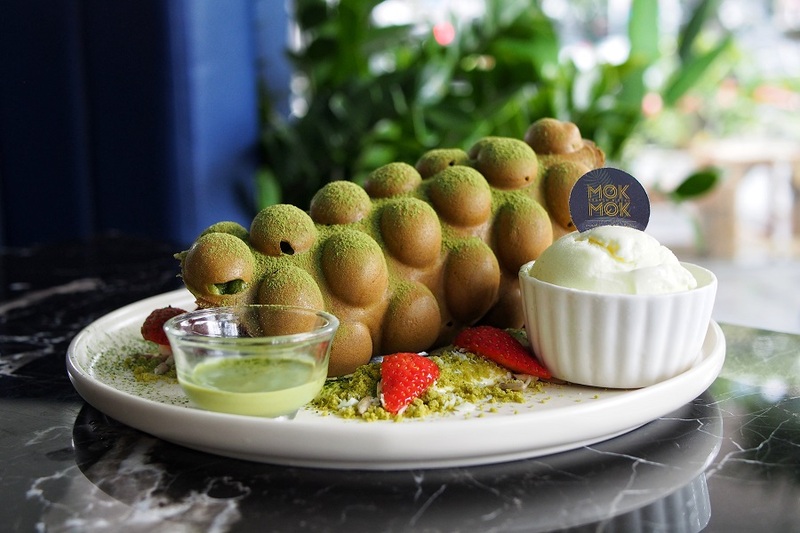 Served with whipped cream and fresh strawberries, the egg pufflet was sprinkled with matcha powder and matcha sauce for some intense bitter-sweetness. But other than its insta-worthiness, it tasted kind of ordinary. 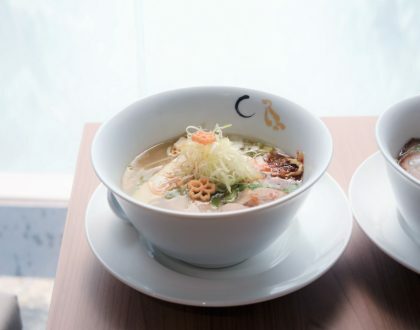 On the contrary, The Kumo Ultimo (RM22, SGD7.30) turned out to be the crowd pleaser. 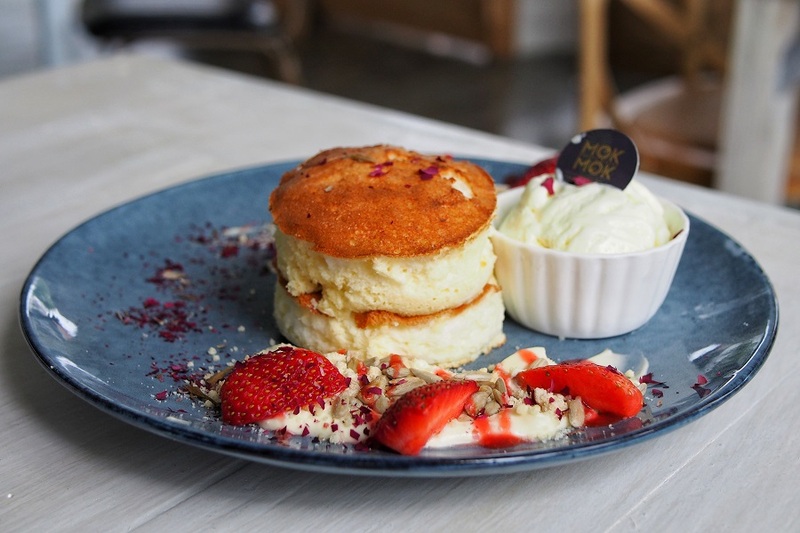 Freshly prepared upon order, the petite creamcheese soufflé pancakes turned out moist, jiggly and smell of cheese fragrance. 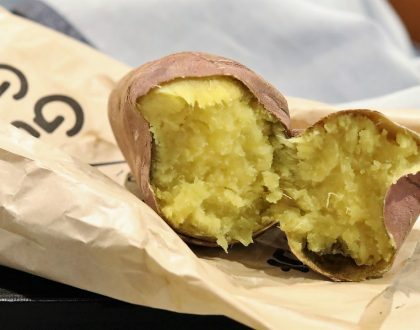 Its soft and fluffy texture would then almost melt in your mouth. I secretly wished for a bigger serving. 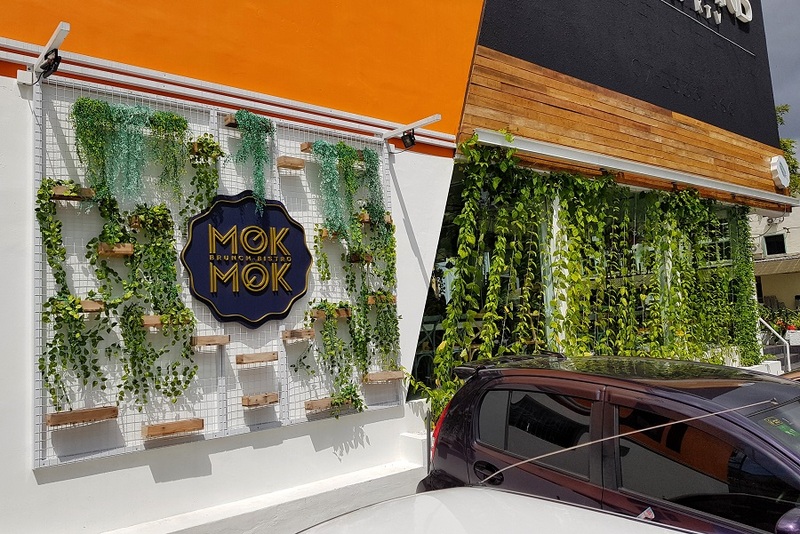 I generally like the greens and laid-back ambience of the Mok Mok, which is a conducive place for me to spend my lazy afternoon.